“Those who want to avoid a new 'Greece', have to take the road of more fiscal and economic union,” Herman Van Rompuy, the President of the European Council, said just a few days ago. Back then he also explained that sharing a currency means we are one country and that the decisions of one, affect all. In the meantime, Greek Prime Minister Georgios Papandreou has reshuffled the government and promised more reforms that would convince both the country and Brussels that Greece was ready for a real change to exit the debt crisis. 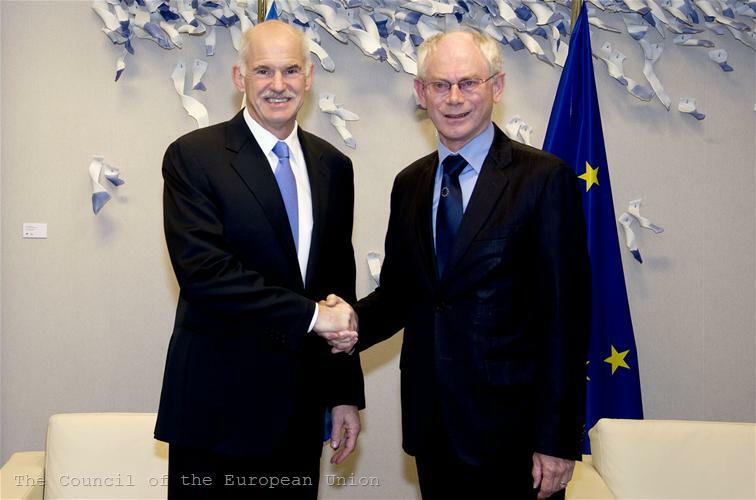 A few days later, following a meeting with Papandreou, Van Rompuy expressed his support to the Greek Prime Minister in his unwavering effort towards reform of the Greek economy and reiterated that Greece needed to make further adjustment efforts to address the current challenges. ”The package of measures agreed upon by the Government and the Troika on fiscal consolidation, privatisation and structural reforms needs to be supported, of course, by the Greek Parliament. 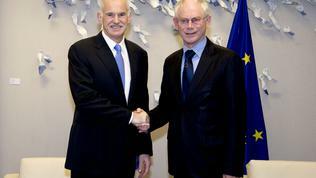 This will pave the way for the next disbursement by mid-July,” Van Rompuy said after the meeting, thus confirming the decision taken by the Eurogroup late on Sunday, to postpone until the beginning of July the drawing of the new financial strategy for Greece. At the meeting of the Eurogroup in Luxembourg Greece was represented for the first time by its newly appointed Finance Minister Evangelos Venizelos, who last week replaced Georgios Papaconstantinou. According to Johnson, however, the Greek austerity measures are making the economy worse and there were only two options left: to continue down the road we are on, in which the euro shambles becomes an invisible and surreptitious engine for the creation of an economic government of Europe, creating a fiscal as well as a monetary union, in which huge sums are being transferred from the richer to the poorer parts of the EU. Larry Elliot, in his turn, says that the monetary union was designed as a one-size-fits-all economic policy for countries that were broadly similar in their make-up, giving as an example the Maastricht criteria. According to him, they are just the really economic window dressing for a politically motivated concept, and politics decreed that there should be as many members of the euro area as possible. The one-size-fits-all interest rate proved to be one size fits nobody, he says, and exacerbated existing differences rather than leading to convergence. That is why he proposes two scenarios: a plan B in which the euro area is pared back to a group that includes Germany, France, Austria, the Netherlands and perhaps a couple of other countries, or there will be an uncontrolled break-up with dire consequences. In both cases Greece remains outside this scheme and will need either to leave the euro, thus creating a domino effect in the eurozone and leading to its end, or keeping its default, which could cost a new 2008 crisis, which the European Central bank will not allow.